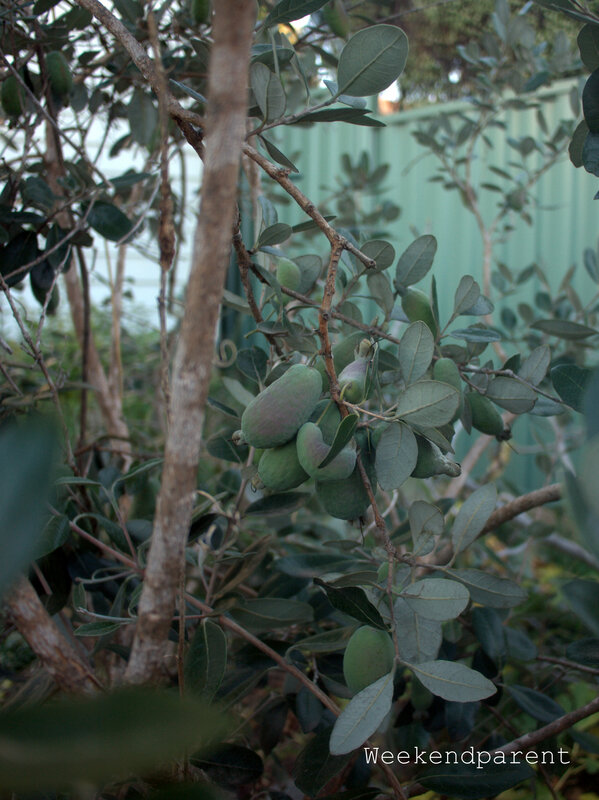 I have a long neglected feijoa (pineapple guava) tree out the back by my Rotary clothes line. And I have just discovered it has the most amazing fruit. 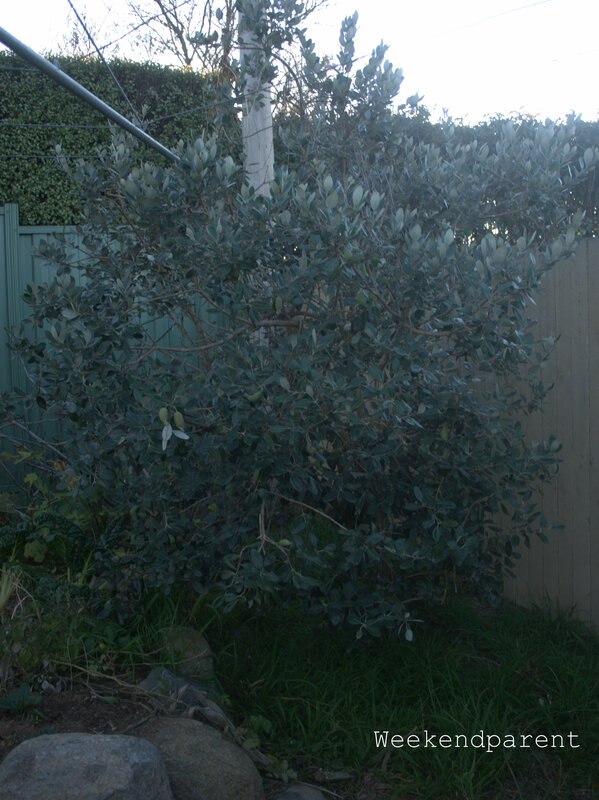 We bought the feijoa as a small seedling while visiting a glorious garden that was made available for public viewing as part of the Open Garden Scheme. 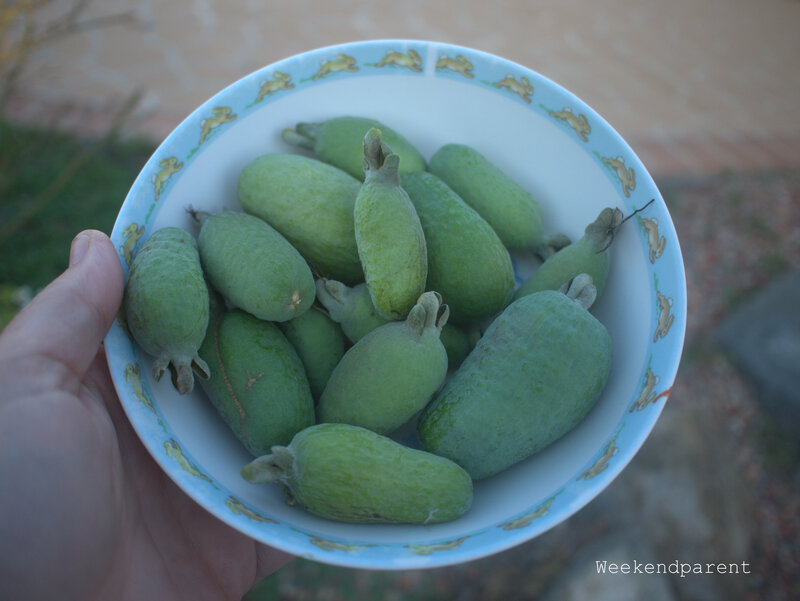 After wandering around the bountiful vegetable garden and orchard, a keen, wizened gardener brought the feijoa to our attention. That sounded pretty good to me. So we bought three, planted them and forgot about them. Over the years they did nothing. Spectacularly nothing. Two died. One grew into my clothes line and I nearly cut it down in exasperation. But this year I noticed fruit. 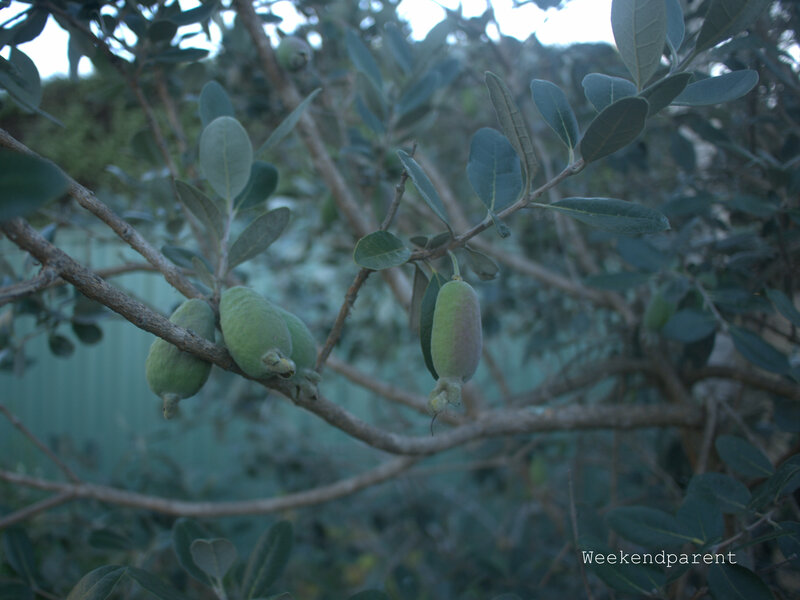 Small, gnarled fruit that looked rock hard and unappealing. I could hardly remember the name of the fruit, but I googled it and somehow found out what I was looking for. 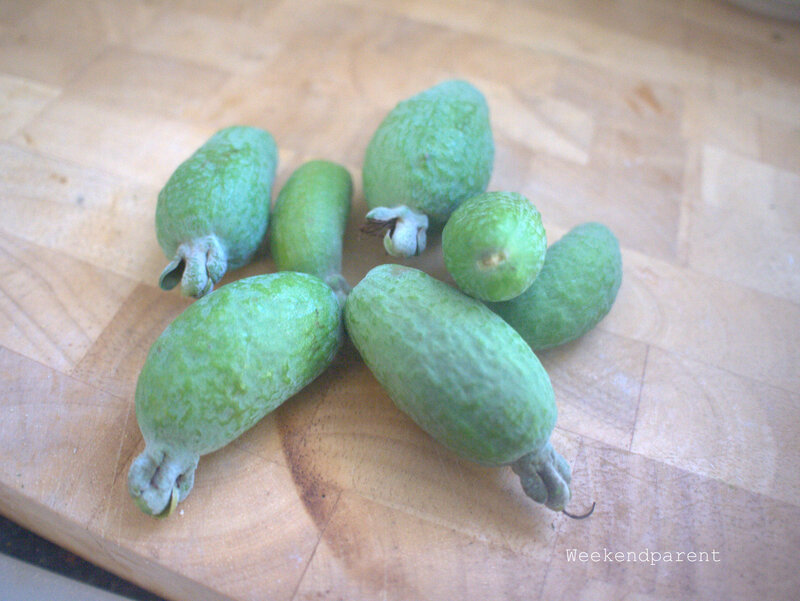 Feijoa aka pineapple guava are popular in New Zealand and given how easy they are to grow in Canberra, ought to be essential to a frugal edible garden. They taste indecently sweet: almost like bubble gum, really. The outer skin is tough but the inside is soft and looks almost like a custard apple (but no-where near as soft and squishy). And they are easy to cook with. 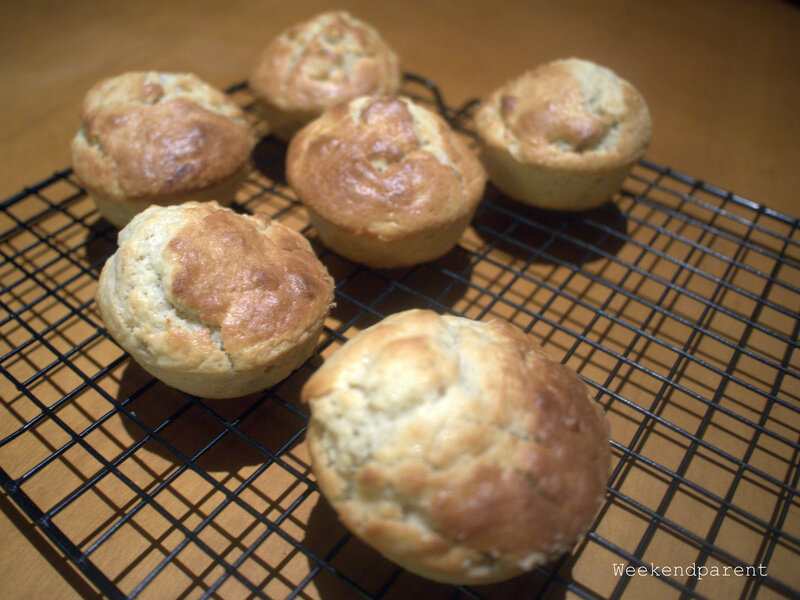 After picking my first crop,, I experimented making feijoa muffins. They are kind of like apple muffins in a way, but sweeter. I like my muffins simple, but they would lend well to being augmented with pieces of crystallized lemon or ginger. 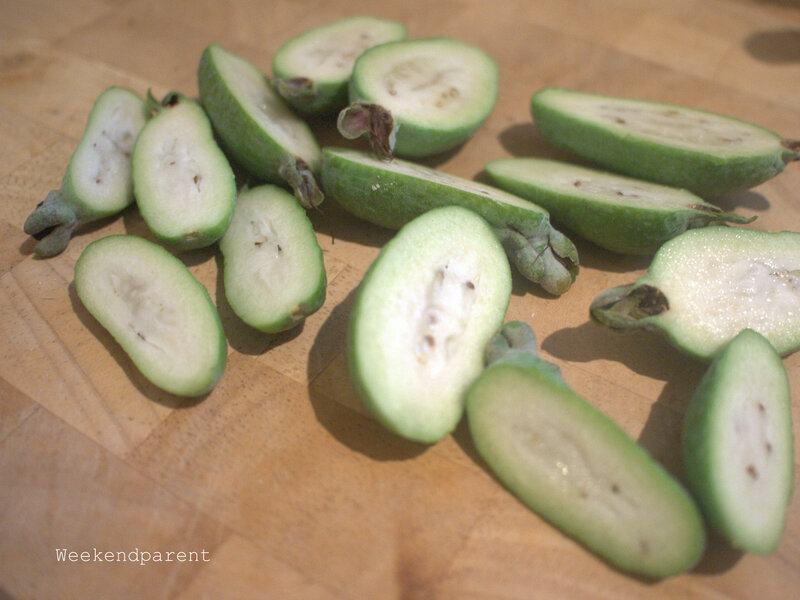 Cut feijoa in half and scoop out the feijoa flesh, and chop finely. Set aside. 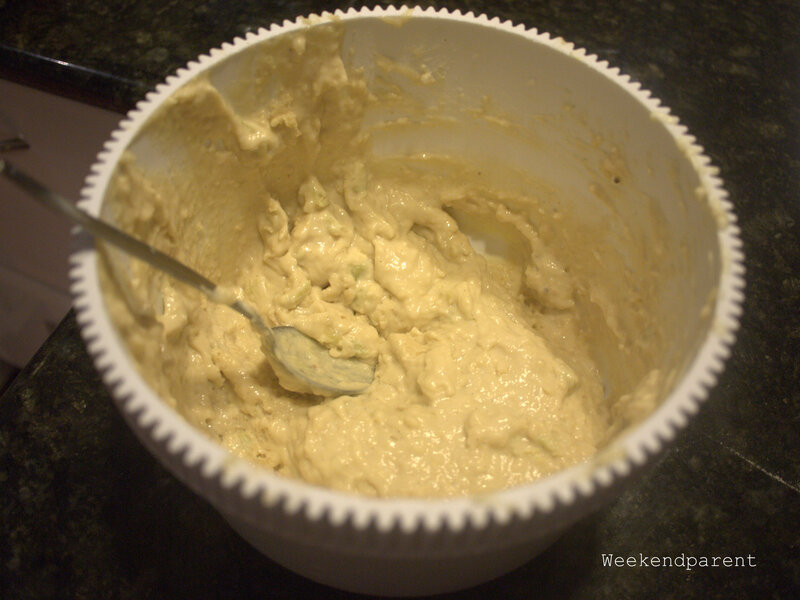 Combine the butter and sugar, and mix in the beaten eggs. Add the feijoa, cream and vanilla extract. Gradually add the flour and ricotta cheese, and add the milk (more or less as required) to bring the mixture to a smooth consistency. 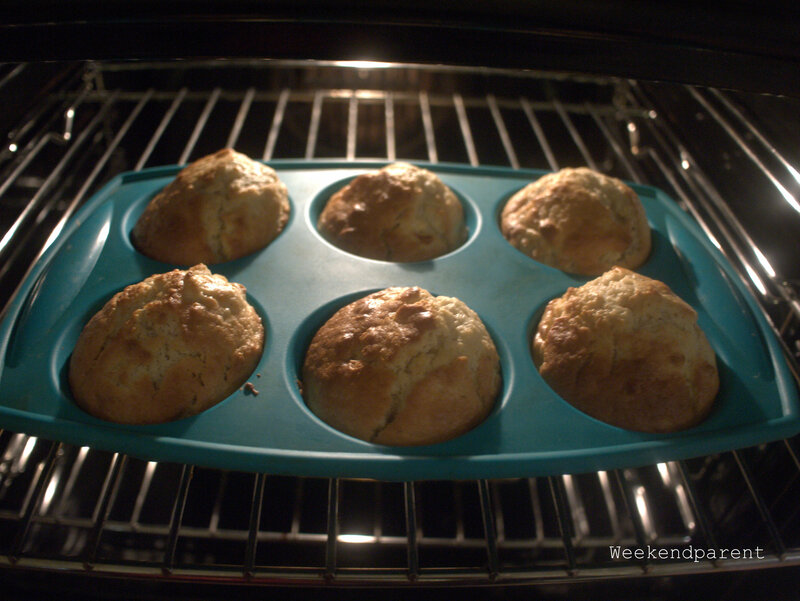 Spoon into muffin tin cases and bake at around 170C for 20 minutes or until golden brown. Yum!! Love feijoas 🙂 never thought of turning them into muffins.